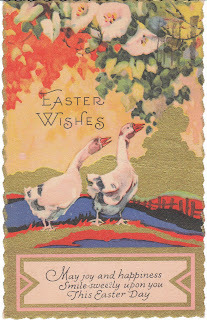 Easter is coming soon - April 24 this year - and I'm enjoying scanning and listing vintage Easter postcards in my store. 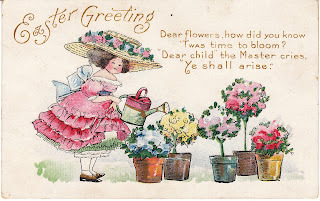 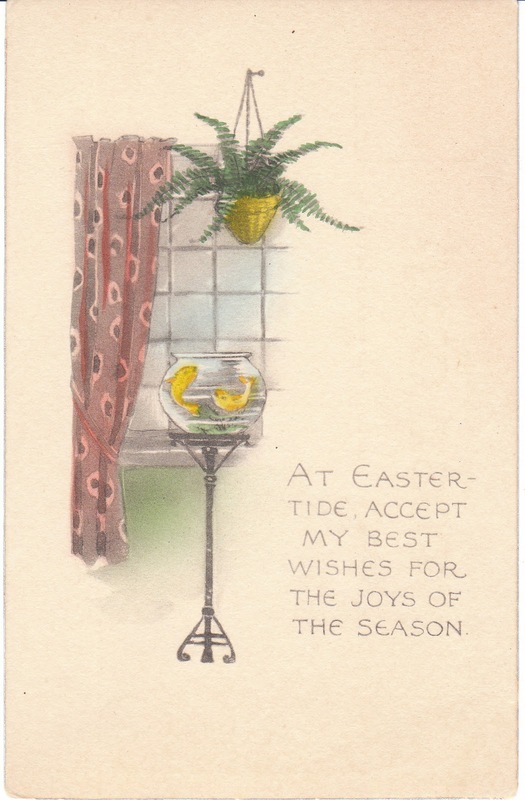 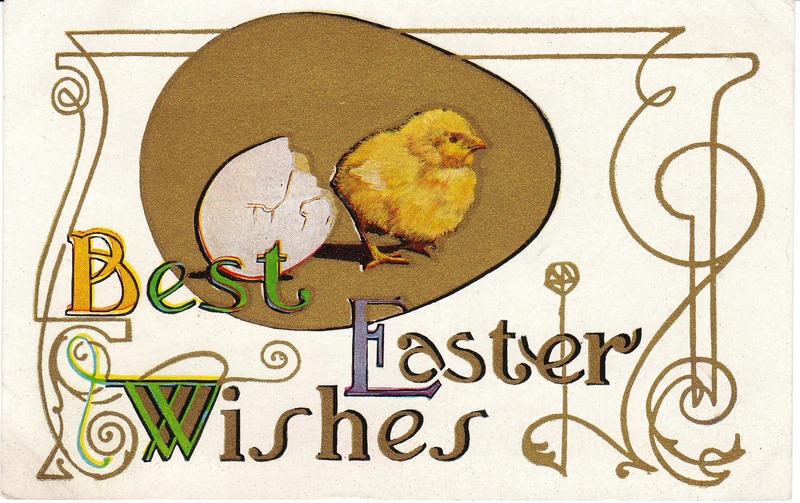 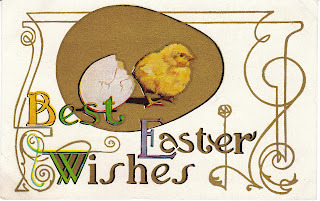 Most of the cards are from the very early 1900's, and they are lovely, with bunny rabbits, yellow chicks, colorful Easter eggs, children in Easter bonnets, and more. One very unusual card even features an Arts and Crafts / Mission style goldfish bowl! You'll find them at Birdhouse Books - Easter Postcards -- and here is a preview!